Student Gods - 5, 6 and 7 a side football in Wirral, Manchester and London. Soccer Gods was launched in 2013 by the team behind Student Soccer. Having gained a reputation for running well organised leagues on good facilities we are now looking to involved more non student teams, so the leagues can run all year round. We still pride ourselves on the things that made the student leagues successful and that we have a zero tolerance attitude to trouble makers. Leagues currently run in Fallowfield, Manchester and Pensby, The Wirral. 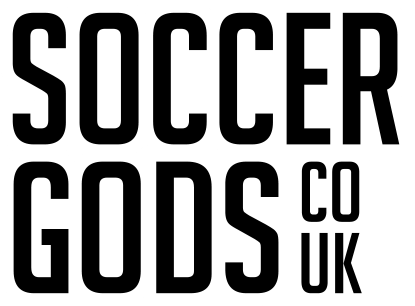 Welcome to Soccer Gods – good quality, well organised football leagues across the UK. Soccer Gods have been running 5 a-side and 6 a-side leagues for over 10 years. We pride ourselves on well organised leagues. If you are looking to play football with your mates, work colleagues or as training you have come to the right place. Soccer Gods cater for all abilities by streaming our leagues, so if you are just looking for a laugh with your mates or a more competitive feel we can do this. Unlike other leagues we do not tolerate trouble makers which makes us your perfect choice. Soccer Gods only use top quality match balls and are affiliated to the FA so only use the best FA qualified referees in the area. We have leagues running in the following venues – we only use the best facilities. View the fixtures, league tables and results for – Man City’s Platt Lane Complex and The Armtage Centre; The Wirral – Pensby Sports Complex and Bebington High School; and London – Griffin School, Clapham. Soccer Gods at Bebington is a competitive league played on a good surface. It's well run and there is never any trouble - every game is high-tempo but played in a good spirit. The refs make sure of that! The leagues at Pensby are always competitive and fun. It's a 35 minute game so you give it your all for that period. It's a really good work out plus only £5 per head so not expensive either. Brilliant work out and a good laugh with the boys.